Our popular ActiSprung Dance Floor system combines excellent performance and safety to create a permanently installed, fully floating dance floor. It can be permanently installed onto most surfaces and provides a uniform level of spring and shock absorption. The ActiSprung System is finished with our Adagio vinyl dance floor (glued & seam-welded) making it ideal for all styles of dance from ballet to modern to tap. 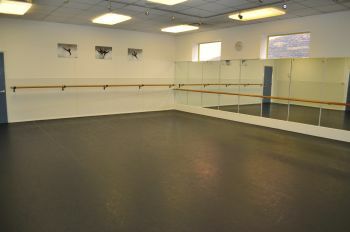 The ActiSprung Floor is perfect for both school and professional dance studios. Please call us for a quick guideline price based on your particular room dimensions. ActiSprung - the preferred choice for Italia Conti, Chiswick Theatre Arts, Larkfield Leisure Centre, Langside College and Empire Dance, to name just a few. ActiSprung Dance Floor & wall mounted ballet barres in Kent. Our hard-wearing, longlasting, ActiWood Sprung Dance Floor System uses the highest quality beech and maple wood finishes to create a warm and inviting feel to any dance studio. 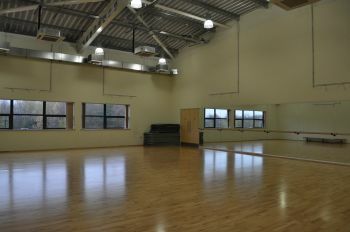 Particularly ideal for studios who require not only a room for dance, but a multi-purpose, flexible sprung or semi-sprung floor area for other activities too (sport, aerobics, pilates, etc). The ActiWood Sprung Floor is a permanently installed floor that will provide you with years of use. Requiring only a smooth, level subfloor for installation (with or without underfloor heating), we can adapt the floor to meet whatever floor depth is required to suit your range of activities. You will have years of use with our ActiWood Sprung Dance Floor. Pricing for all our sprung floors is based on your individual requirements and can be installed together with our floor-mounted ballet barre system. Simply call us to see how we can help T: 01580 893889. 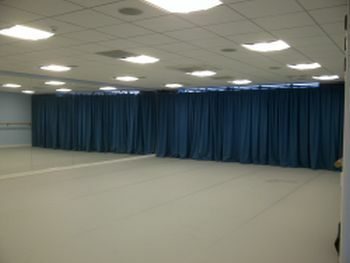 Ideal for temporary installations, SprungFloor interlocking panels were developed and tested by dancers to ensure the perfect combination of resilience (spring or bounce) and stability. They are flexible enough to absorb the energy from a dancer's impact, but provides the right amount of resistance for dance movements ranging from ballet, tap, modern, flamenco and Irish dancing.